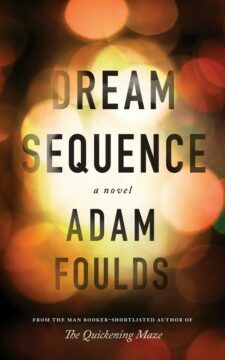 Adam Foulds is a poet and novelist from London, England, now resident in Toronto. He has been the recipient of a number of literary awards, including the Sunday Times Young Writer Of The Year, the Costa Poetry Prize, the Somerset Maugham Award, the South Bank Show Prize for Literature, the E. M. Forster Award, the Encore Award, and the European Union Prize For Literature. His 2009 novel, The Quickening Maze, was shortlisted for the Man Booker Prize. He was made a Fellow of the Royal Society of Literature in 2010. He was named as one of Granta Magazine’s Best of Young British Novelists in 2013 and of the Poetry Book Society’s Next Generation Poets in 2014. His latest novel, In The Wolf’s Mouth, was published by Jonathan Cape in February 2014. His next, Dream Sequence, will be published early in 2019.